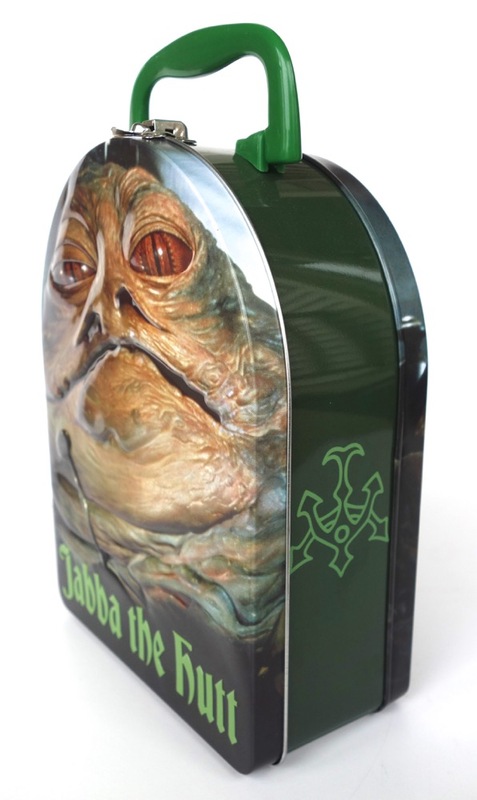 Jabba the Hutt Steel Box by The Tin Box Co. This steel box is not exactly a lunch box, but could certainly be used as one, although it wouldn’t fit a thermos. Despite being made by The Tin Box Co., it is made of steel, and seems pretty sturdy. I’ve had metal boxes in the past that would deform with very little effort, but this seems like it would stand up to some use. On the front (the lid) there’s an embossed design of Jabba, while the back has the same design but without the embossing. 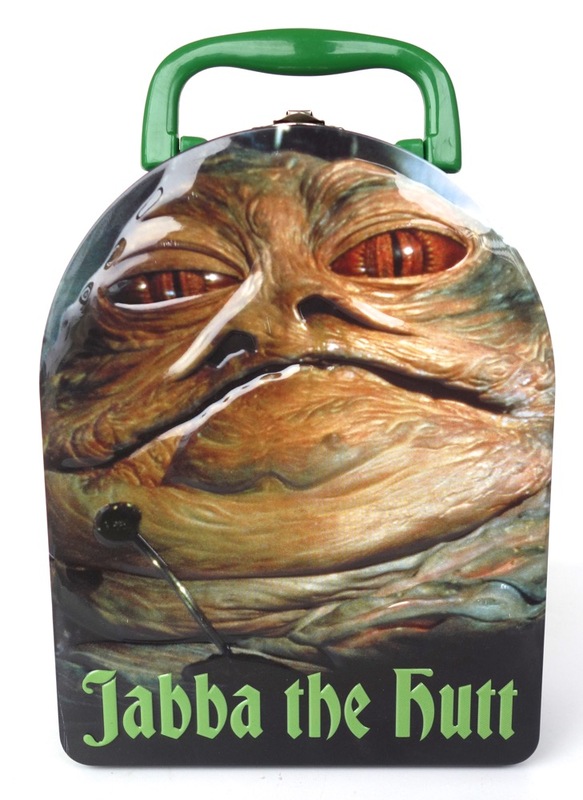 (The font they used must have confused the eBay seller I got this from, as they listed it as “Jabba the Futt.” :)) On the side, they put his tattoo design. While it might have been nice to have this be a proper lunchbox, since those are a collectible genre all their own, this is an excellent metal box. The colors are very vibrant and I like the embossed metal lid.